Capital Self Storage named "Small Operator of the Year"
Capital Self Storage is the largest Self Storage Group in Southern NSW and based in the ACT have been awarded the prestigious “Small Operator of the Year” award by the Self Storage Association of Australasia. The award for excellence was for Self Storage groups of less than 4 Self Storage sites. Capital was also a finalist in the “Best Upgrade” for its Mitchell facility. Managing Director of Capital Self Storage, Ian Oliver said: “I am very proud of our team who have worked hard for this award and I would like to thank my fellow board members, staff and suppliers who, in partnership with us work every day to deliver the best service we can to the local community”. The Award and nominations are a fitting result for hard work by Capital this year. Significant upgrade works have taken place at all sites, with upgrading of fencing and security and office upgrades at Mitchell, Phillip and Hume and complete resurfacing at Queanbeyan. Earlier in the year Capital celebrated 25 years trading and has served over 40,000 storers since opening. The Self Storage Association of Australasia started at the same time as Capital and Capital were part of the foundation membership of the Association, helping to set basic governance and ethics for what has developed into a multi billion-dollar industry in Australia. With over 1300 Self Storage sites around Australia and 90% of them members of the SSAA, the “Best small operator Award” is welcome and tests the best practices of the business against other operators. Capitals staff were “mystery shopped” as part of the award process and were found to offer the highest levels of service to potential customers. 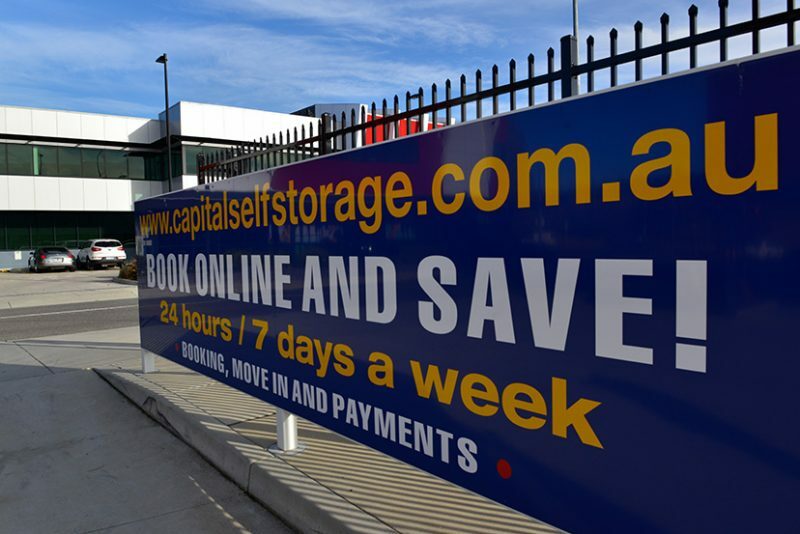 Ian Oliver also said: “We look forward to continuing to provide the Canberra and Queanbeyan community with the best value Self Storage spaces in the region. We offer value and the best service and with 40,000 already served we look forward to another 40,000 customers! We thank our fellow entrants and the standard was very high for the award given to us”. We are proud of the achievements and here is what others had to say!